California Traveler: "The Whole Enchihuahua"
Trust me, this isn't really off-topic. 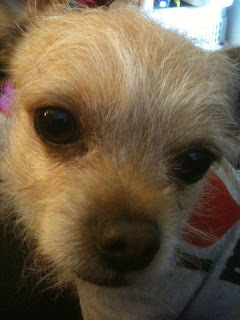 I recently adopted a Chihuahua/terrier mix from a local dog rescue group. Ever since then, I've been interested in finding out more about Chihuahuas and Chihuahua mixes. I'm also interested in animal rescue organizations, especially those who try to get animals into homes instead of euthanizing them. Euthanization shouldn't be the first choice and my preference is for it to not ever be a choice. So, when I saw a blog post about the work of former San Francisco SPCA president Richard Avanzino to institute no-kill policies during his tenure with the SF SPCA, I went to check out their website. 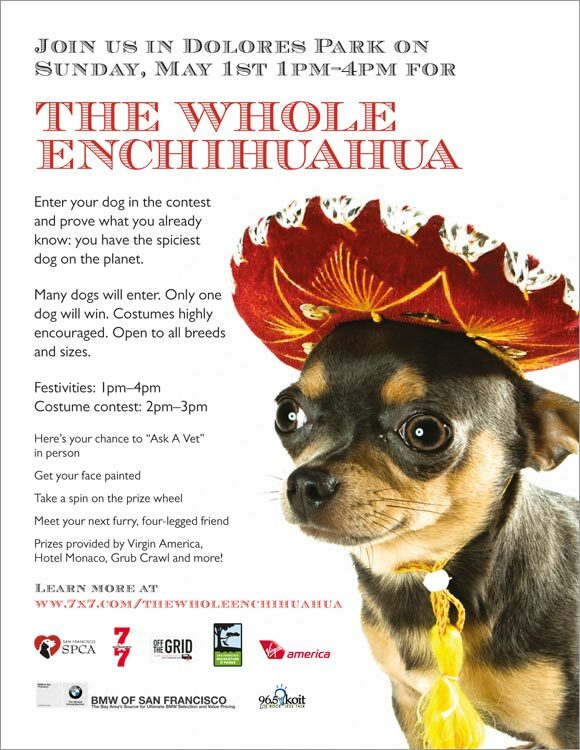 And the first thing I saw on their website was an event this weekend: "The Whole Enchihuahua." Mr. Bojangles, my Chihuahua/terrier rescue dog.